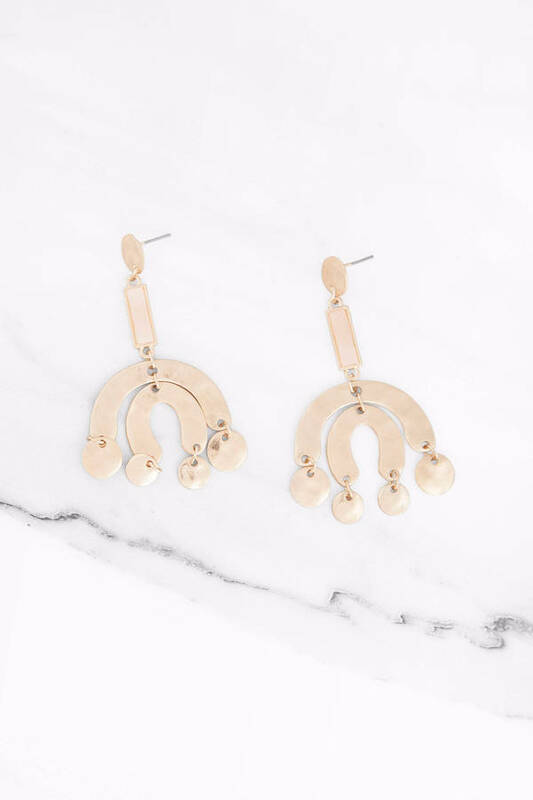 Check out Tobi's Bohemia Dangle Earrings Free your spirit with the Blush Bohemia Dangle Earrings. 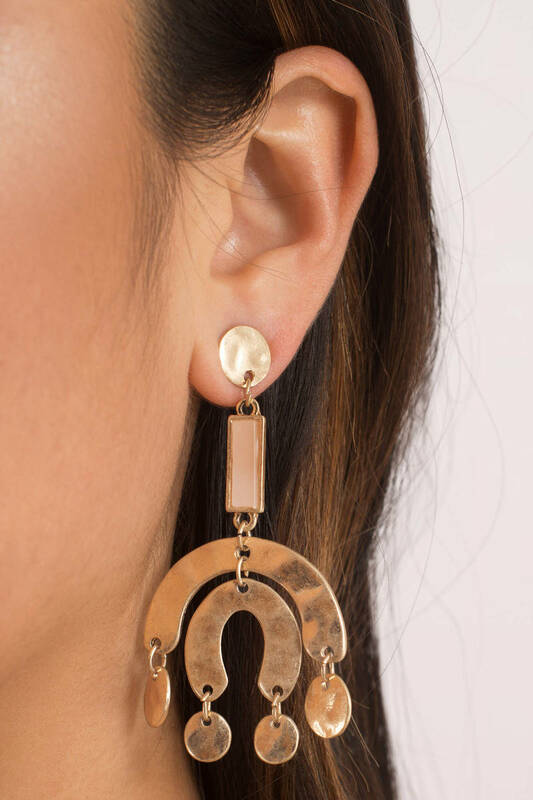 The hammered metal earrings feature blush stone bar pendants, with u-shaped charms and small discs dangling underneath. You'll love pairing these boho statement earrings with maxi dresses and more for a carefree attitude. Free your spirit with the Blush Bohemia Dangle Earrings. The hammered metal earrings feature blush stone bar pendants, with u-shaped charms and small discs dangling underneath. You'll love pairing these boho statement earrings with maxi dresses and more for a carefree attitude.